selling products/services online with no upfront costs. They can be used on websites, blogs, and in emails to sell individual products and services. In this tutorial we will look at how to create buy now and donate buttons for physical and non physical products and how to add them to your website. You create payment buttons on the PayPal website. When created you receive a snippet of HTML code which you then need to place into a web page or email to display the button. 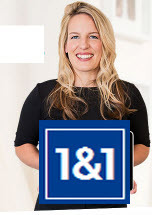 Most sites use the PayPal default buy now image as it is familiar to most web users; however you are free to use any image to act as the buy now button. To start, all you need is to sign up for a free PayPal account (which only requires an email address). Buy now buttons can be used for selling physical products which need to be delivered. This means that you will need to collect a mailing address as part of the order process. They can also be used for electronic products e.g. ebooks and services which don’t need you to collect a mailing address. However in this case you are required to direct the customer to a page where they can download the ebook etc. This part of the button configuration is under the advanced options, and it important that you don’t skip it. If you click the create new button link The first step of the create button form is displayed, and you should see a screen similar to that shown below. You need to select button from the drop down list and give the button a name. Giving the button a tracking code is also advised especially if you create several buttons. For Digital downloads you will normally direct them to a download page when payment has been accepted. This page will give them either direct access to the download or download instructions. For Physical products it is important that you capture the address of the buyer. Again this is configured in the advanced section. Here is a video guide that takes you through the process of creating a buy now button for a physical product. Creating a donate button is similar to creating a buy now button. This time you select the donations option from the drop down list. You then need to decide if you will go for a fixed amount or allow the visitor to decide his own amount. 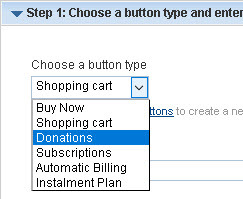 With the button creator provided by PayPal you cannot create a drop down list. If you want a drop down list you need to manually edit the button. Once you have the code for the button you need to insert it into your web page. It also show you what happens when a customer makes a purchase using the button. Here is a working Example of a donation button. The amount is fixed at £1. 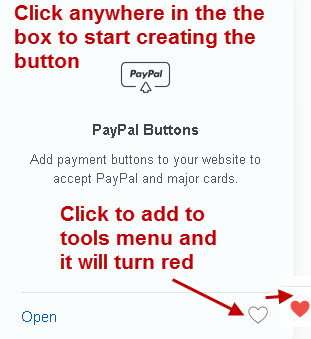 Although they are simple to setup and use, PayPal buttons have some problems. Buttons are stored in your profile (under saved buttons but they are not as easy to edit as when using a product database which you get with a proper shopping cart. Not Really suitable for a large number of products.